Relocating with your children is, in theory, a fairly simple process. However, if you have been through a divorce, it is not so easy. Simply picking up and moving with your children can get you in serious criminal trouble if you have not followed the proper procedures with both your ex-spouse and the court. In extreme cases, criminal charges could be filed against you. Understanding your rights and your obligations in such a situation is absolutely critical. Relocation is addressed specifically within the Nevada statutes, when you have either joint or primary physical custody of the child. Essentially, the law states that the moving parent must attempt to get the consent of their ex-spouse to move either out of state, or to a place within Nevada so far that the ex-spouse’s ability to see the child would be “substantially impaired.” If your ex will not give their consent, you may petition the court for the right to relocate, though generally it takes a strong showing of relevant evidence before the court will overrule your ex’s refusal. 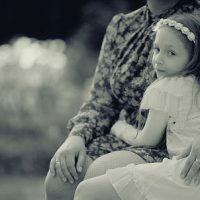 There are specific factors that a court will look for in determining whether or not to grant a relocation request, most of which deal with the best interests of the child and the motivations of the relocating parent. Is there a good faith reason for the request to move? Is there a benefit in the move for both parent and child? Is the move in the best interest of the child overall? If the answer to all these questions is yes, then the court will weigh factors like the motives of both spouses, the cost-benefit analysis, and more substantive issues. If the process in NRS 125C.006-07 is not followed, and you or your spouse pick up and relocate your family, without obtaining either consent or a court order, you are in violation of NRS 200.359, which constitutes a category D felony. Category D felonies are punishable by between 1 and 4 years in the state prison, plus a fine of up to $5,000, and the statute permits the application of ‘other penalties,’ which may include a total loss of custody once the child is safely returned. There is one exception to the law, which is that if a parent removes a child due to an imminent threat of physical harm to either the child or themselves, and informs the relevant law enforcement agency or child welfare agency within 24 hours, they will not be charged. A parent has the right to act on behalf of keeping their child safe, and if they comply with the law and are able to substantiate their claims of threat, that right will be honored. Child abduction is every parent’s worst nightmare. If you are in a relocation dispute or have questions on relocating with your children, you need an understanding attorney who will fight for you. The passionate Las Vegas child custody attorneys at the Kainen Law Group are waiting for your call. Contact us today to set up an initial appointment.